It’s time to celebrate a job well done! The end of the school year brings a number of celebrations capped by the biggest one of all, graduation. 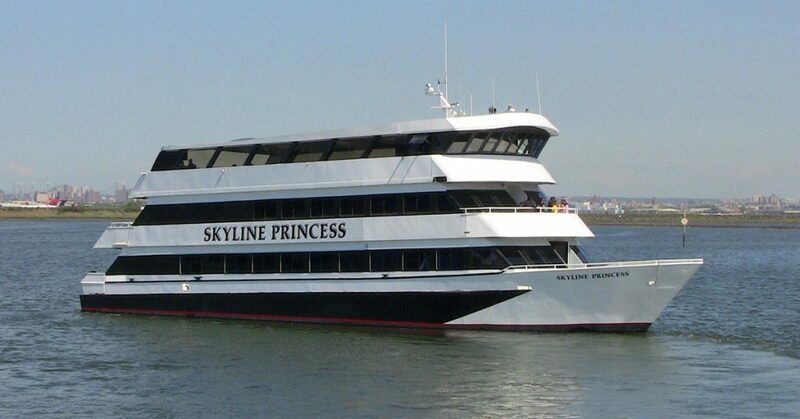 Whether you’re planning an official, school-sanctioned graduation party or a small get-together among friends, the perfect venue for your graduation celebration is an NYC party cruise aboard the Skyline Princess. There’s a place for groups of all sizes and all budgets. It costs much less than you think. We can rent out the full ship for a black tie affair. We can also give you a private deck for smaller celebrations. Or we can reserve a table or two for a handful of guests. Whatever graduation celebration you have in mind, just ask. We want you to sail this summer with Skyline. At Skyline, we have plenty of options for our <em?NYC school event cruises. For proms, high school, and college graduation celebrations, as well as school fundraisers and alumni events, we can put together an elegant sit-down banquet or a casual cocktail party. All of our food is prepared in our galley by an onboard chef. If you’re in charge of planning a high school graduation celebration like Project Graduation that’s designed to keep kids away from alcohol, Skyline is ideal. We offer an enclosed ship, a private setting, an entertainment area and top notch food. Your school or organization will have to provide chaperones, and we’ll take care of the rest. We’ll work with you to help create any theme you have in mind for your graduation party, Project Graduation event or other celebration. In addition to cruising on the East River and New York Harbor, we can also cruise Long Island Sound. 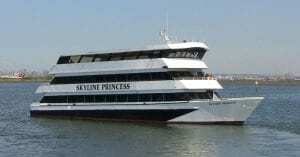 Skyline Cruises has departure locations in New York, New Jersey, and Connecticut. Graduation celebrations are meant to be one of the most memorable events in a person’s life. Holding your celebration on a Skyline Cruise can make that happen. We’ll work with you or your organization to put together any celebration big or small and the results will be breathtaking. Contact Skyline Cruises today!